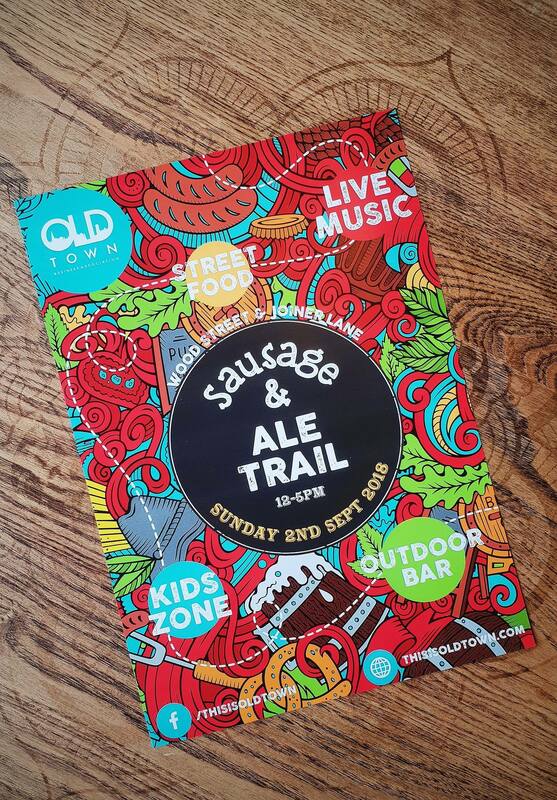 We’ve taken a look into this years Old Town Sausage & Ale Trail. This is 5th event of its kind, which is organised by the Old Town Business Association. Taking place on Sunday 2 September 2018 between 12-5pm, this year is set to be bigger and better than ever. It’s one of the most popular events in Old Town and it’s definitely an event that you should be putting into your diary. Wood Street will be taken over by food stalls, with local bars and pubs offering quirky and different beers. For the first time in the events history, there will be multiple drinks stands throughout Wood Street and Joiner Lane, to accompany the food that will be on offer. There are plenty of food and drink stalls for you to visit this year, but there’s a lot more going on than just food and drink. There’s a kids zone, live music and a host of local restaurants in old town and businesses open that you can visit. Some of these businesses have special events on, such as creating your own cupcakes. You can find some details on the food/drink stalls that will be attending the event below. Helen Browning’s Chop House will be open as normal serving their normal food plus beers and wines. They will also have an outdoors stool, serving a range of pulled pork carnitas, sausage baps, sticky ribs and hot dogs. 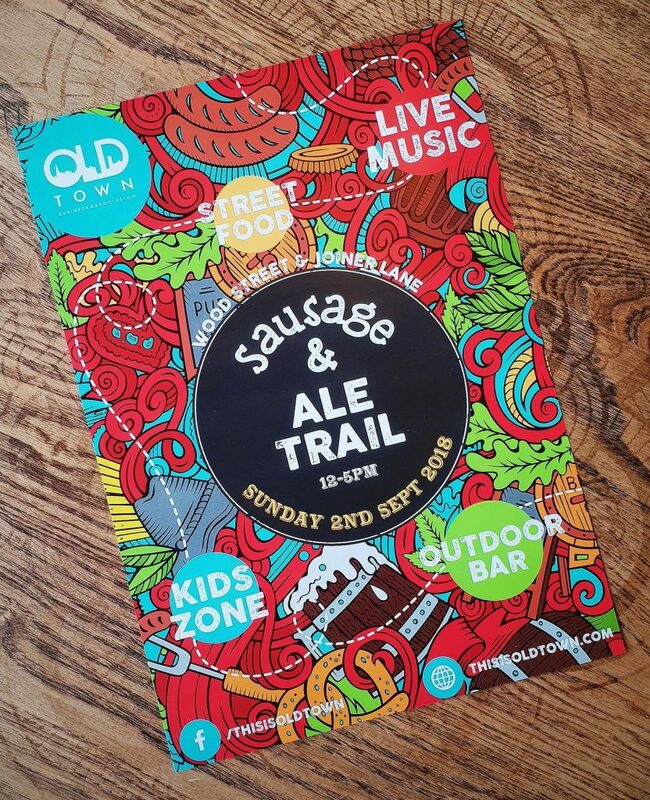 This year at the Old Town Sausage & Ale Trail isn’t just all about sausages and ale’s, this year is much more. The Royal Oak has fast become Swindon’s finest gin bar and if you haven’t bene lucky enough to visit them, you can get a taste of what they offer at this years event. They will be on hand with their own Gin Truck, offering a variety of robust, complex yet silky smooth gins to really wet your whistle! Are you a craft beer lover? If so, you must visit the Tuppenny’s pop-up bar on Wood Street. They’ll be serving a selection of their regular craft beers and some of their most quirkiest. The Tuppenny will be open as normal, so if you fancy a sit down and chill before heading back out to the trail, you can. For the first time ever, Hop kettle Brewing will be hosting a bar at the Old Town Sausage & Ale Trail. Hop Kettle Brewing Company will be launching their Official Old Town Beer, which will be served on draught at the event and then swiftly followed by a bottled version. This event is a family friendly event, with musicians, and an abundance of street food & drink stalls, which are sure to provide for an excellent day out. If you are looking for things to do in Swindon this September, you won’t go far wrong with attending this event. When we find out more details, we’ll update this article with full details. If you want to keep up to date with all of the latest news and information, visit their Event Facebook Page.